This month was, as you can imagine, the most exciting and important of all.. The 9th edition of ÉCU took place on April 4th-6th and it was a real success! A lot of people came over to see the selection of films that we screened and in general they all had a positive response from audience and the festival jury. On our website you can still have a taste of how we lived during those crazy three days: there is a page on which you can have a look at the pictures of the best moments of screenings, After-Parties, Ceremonies and much more. You can also read the blog that the members of the ÉCU Team wrote in the few free moments that they had during the festival so that you can get a sense of how it was to be behind the scenes of the realization of the festival. Also, you can watch videos from our live streaming to see what happened during our workshops, Q&As and Ceremonies. 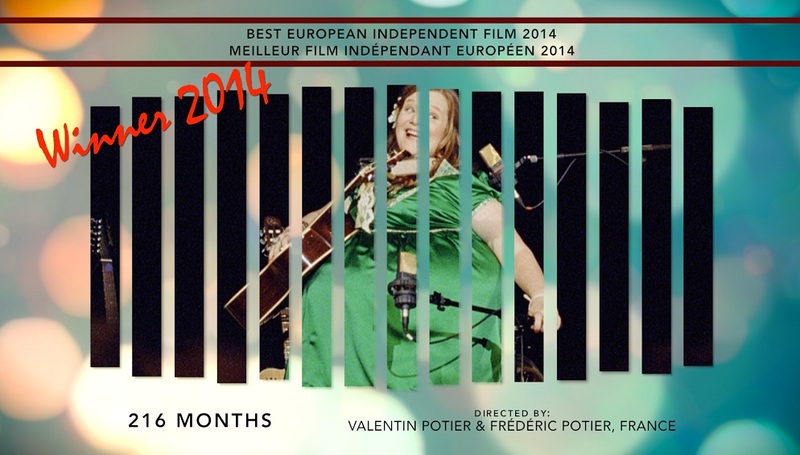 The jury had a lot of hard work to do to pick a winner for each category but at the end they all agreed and we were glad to announce that the Best European Independent Film 2014 award went to “216 Months” by Valentin Potier, Frédéric Potier. The film tells the story of Maureen: nothing is comparable to her success as a ventriloquist singer, except her belly. The entrancing voice that comes out of Maureen’s insides has a name: Charles. He will soon be 18 and he has one sole objective in life: to be born. You can find out the full list of winners on the website. It is always nice to look back at those days and it is funny to have a look at all the material we collected to have all those crazy moments stuck in our memory… But now it’s time to look forward and plan the next edition of ÉCU – The European Independent Film Festival. We announced some days ago the dates for the X edition of ÉCU: it will be held in Paris, on April 10th-12th, 2015. The submissions for ÉCU 2015 will open during the Festival de Cannes on May 19th..YES! We will be there from the 17th to the 25th of May as our next stop of ÉCU-on-the-Road tour. So, you all independent filmmakers anxious to screen your work in front of a wide audience, stay tuned and try to be part of the most important event in Europe for the promotion of your indie film. We will be also bringing you live updates from Cannes, so you better keep checking our website. The Spotlights of this month go through different personalities that are among the most discussed in at the moment: Xavier Dolan, whose new film “Tom at the Farm” has just been released; Julie Gayet which is one of the protagonist of “Portrait of Mistresses” by Rocco Labbé, Award winner for Best Cinematography at ÉCU 2014 and Paul Thomas Anderson, that is currently gearing up for the late 2014 release of his seventh feature film. At the beginning of April the filmmakers of Otello, Best European Independent Film 2013, went to our partner film festival, the Foggia Film Festival for the screening of their film. They competed in the category of Feature Films that was composed of 12 independent films, and they won an Audience Award in memory of Giuseppe Normanno. We have an exciting new program for ÉCU-on-the-Road 2014/2015 and on our website you can find out all next stops – amazing environments to showcase the films that were part of our Official Selection. Among the cities that will host films from ÉCU we have Rome, Naperville and Innsbruck. The European Independent Film Channel is growing fast thanks to new films that filmmakers have sent us. We are uploading new films from our 2014 festival as well as you can see many of older films that have competed in our festival in previous years… so you now have a huge range of choices to watch great indie films for free! Here at the office we are then working for the organization of ÉCU 2015 and for the promotion of all the indie films that we screened during this year’s edition. Stay tuned to find out more!